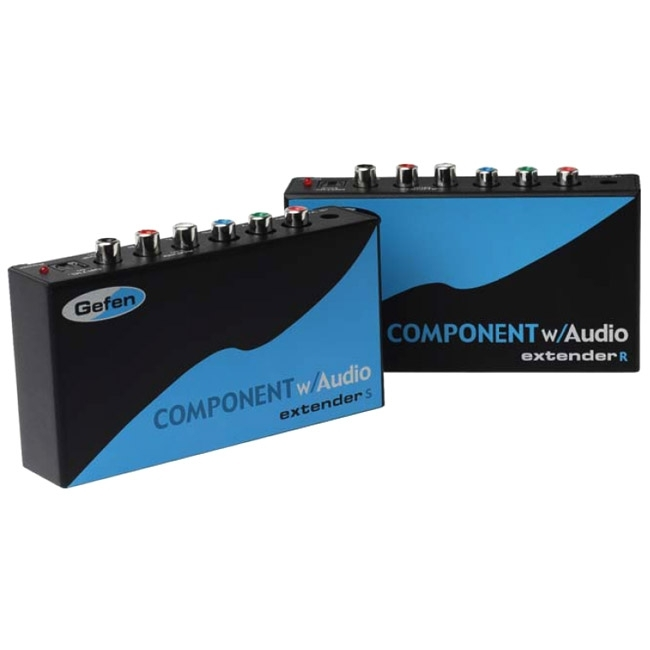 Extend your audio and video signal using the Gefen Component Audio Extender. Place your source anywhere and extend the signal up to a 1000 feet away. The Component Audio Extender will extend Analog Component video as well as Analog Audio or Digital Audio via SPDIF or TOSlink. All audio is transmitted digitally over the CAT-5e cable and both the analog and digital audio outputs are active on the receiver side.